You guys! You guys! The gullwinged, bite-sized kei car of your dreams is for sale! And it is BLUE. 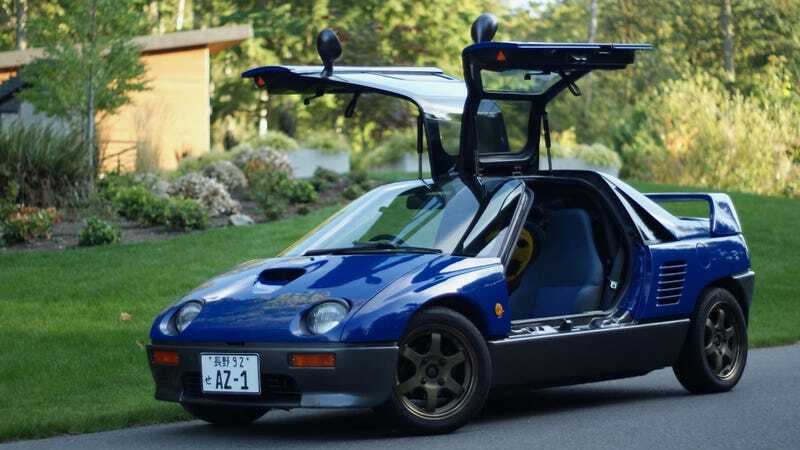 This 1992 Mazda Autozam AZ-1 has fewer than 63,000 miles on it and was imported earlier this year, where it went on to win two awards at The Little Car Show during Monterey Car Week, according to this listing on Bring A Trailer. If you needed any more reason to fall in love with an AZ-1, this one has credentials. The 657 cc turbocharged three-cylinder engine is good for 63 horsepower, mated to a five-speed manual. At the time of this writing, the current bid for the car is $6,000. Can you imagine all the fun you could get into with this little package of pure joy? All the parties you could roll up to? All the front-row valet parking spots you’d take up? All the drive-through operators you’d impress? It’d be worth every penny. 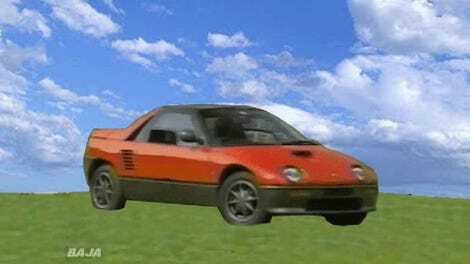 Autozam AZ-1 Vs Suzuki Cappuccino: Which Is Greatest?